This agreed new legislation is the first ever regulation on CO2 emissions for lorries in the EU. 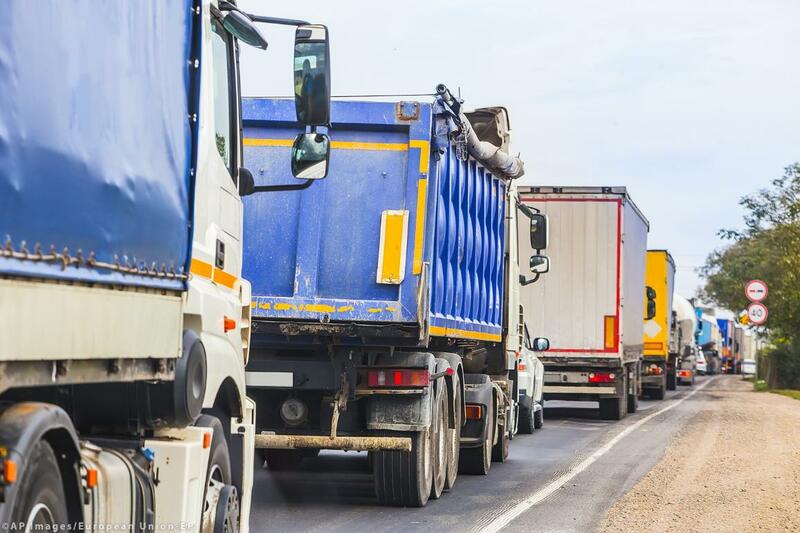 The deal reached between MEPs and the Romanian Presidency of the Council on Monday night provides for a legally binding 30% CO2 reduction target for new lorries by 2030, with an intermediate target of 15% by 2025. Manufacturers will also have to ensure that zero- and low-emission vehicles represent a 2% market share of the sales of new vehicles by 2025. This provision aims to incentivise manufacturers to invest in cleaner alternatives to diesel trucks. The European Commission will also have to propose new post-2030 targets, in line with the Paris Agreement, in 2022. Bas Eickhout (Greens/EFA, NL) rapporteur, said: "The regulation now goes further than the original proposed by the European Commission and will help to reduce pollution on our roads and to improve air quality. It is shameful that some governments still put the interests of their industry before the interests of the people. In particular, Germany and some Central European Member States blocked more ambitious targets. Cleaner engines can create a cleaner climate and future-proof jobs. It's time for EU Member States to pull the brake on their short-sighted support for the combustion engine and instead encourage the development of greener alternatives that, in the end, will also benefit the industry." The agreement will have to be formally approved first by the EP’s Environment Committee and then by the European Parliament and the Council. Heavy-duty vehicles are responsible for around a quarter of CO2 emissions from road transport in the EU. Without further action, their emissions are expected to grow due to increasing road transport volumes. Heavy-duty vehicles are responsible for 27 % of road transport CO2 emissions and almost 5 % of EU greenhouse gas emissions (2016 data). Since 1990, heavy-duty vehicle emissions have increased by 25 % – mainly as a result of an increase in road freight traffic – and, in the absence of new policies, they are projected to increase further.